create the “life after divorce” that you want and deserve NOW? 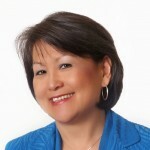 A busy career-focused woman who is divorced or separated after a significant relationship. Sensing an emptiness in your life … and truly want to feel whole again. Wanting to attract love and joy into your life NOW, without repeating your past relationship patterns. Ready to take actions to create a bright future that will make your heart sing! Know that you’re not alone. You can rebuild and live a joyful life after divorce. It was truly a life-changing transformation for me … but it didn’t happen by chance. After my divorce, I was devastated. It was a double whammy – I lost both my marriage and my lucrative corporate career at the same time. I had given so much of myself to my relationship and my career, I was in shock that it was over. I’m a very strong person, but in that moment, I really didn’t know what I was going to do next. I was confused and even angry with myself for not seeing it coming. As I started to heal, I found the same question come to my mind: “What do I want to do for the next fifty years of my life?” I didn’t know the answer to this question, so I became determined to find out. To be honest, I’m not claiming to have a perfect life, not yet anyway. 🙂 But I HAVE learned to create the life that I wanted on my own terms. I decided to make a big move from the East Coast to my dream city of San Francisco exactly one year after my divorce, and I found the perfect condo with a magnificent view of the bay. I have more wonderful and supportive friends now than I’ve ever had. Best of all, I found my soulmate who is the perfect partner to join me in these next fifty years, and we recently married in a beautiful outdoor wedding on a high bluff overlooking the Pacific Ocean! These opportunities came with such magic and truly transformed the quality of my life. I realized I want to help other women to be as happy and fulfilled as I am. That’s why I felt so compelled to create a step-by-step process to enable women who are transitioning after divorce to start living again. So fortunately, YOU don’t need to spend all the time and money that I’ve spent. You can directly benefit from my experience and accelerate YOUR post-divorce transition to live a joyful life. How? By learning and applying my step-by-step process that captures the essence of all the lessons I used to transform my life after my divorce. The process is called W.I.N.G.S., and you can learn how to apply it to your OWN life in the comfort of your own living room! Feel whole again! Reclaim parts of your heart and soul that you lost during your divorce. Develop your own inner power to attract the ideal people and opportunities into your life. Overcome negative self talk and other barriers to happiness. Discover your true passions, and create your personal roadmap to bring joy and success into your life. Stay on track and see real, measurable progress toward your vision and goals. You’ll get the clarity and inner courage to DO something to change your life, once and for all! “I really enjoyed the “Love Your Life” course, especially the workbook exercises which were clearly laid out and thought-provoking. The course would have been extremely helpful right after my divorce five years ago, but even now, it gave me new, profound tools to help me continue to work toward my goals. I recommend this course for any woman going through (or who has gone through) the transition of divorce to help keep her on track as she works toward regaining her self and creating the life of her dreams.“. “This course was exactly what I needed! I”ve been in a rut since my divorce several years ago, and my life truly needed focus. I like the way Keiko teaches us how to set and achieve goals. In the few weeks since I took this course, I’ve already made great progress on some of my biggest goals. I feel like I’m finally overcoming my procrastination tendencies and becoming more confident about changing my life for the better!“. “I’ve taken a lot of self-help courses, but this one was truly an interactive learning experience. I loved how the audios and the Work Book compelled me to think deeply and do the exercises. I also liked Keiko’s stories and examples. This course has helped me to understand the barriers to my progress, and why certain things would upset me. Now I’m able to step back and have more control over how I react. I keep my Work Book next to my bed to remind myself of how far I’ve come and what I need to stay focused on. I’m even keeping a daily journal to hold myself accountable for my personal goals. I felt so stuck after my divorce a few years ago, and now I feel like I’m making good progress! Thank you!“. “This program has helped me become much more conscious about me and my life. It helped me figure out what I want, and what I DON’T want in my life. I’ve learned to acknowledge myself for the good things I do, and to love myself and invest in myself more. Most of all, I’ve learned that I don’t need to settle for less than what I want! I feel much more secure and confident about myself now, and know that I can give the direction my life needs and that also I can achieve any goal I want. Thank you!“. 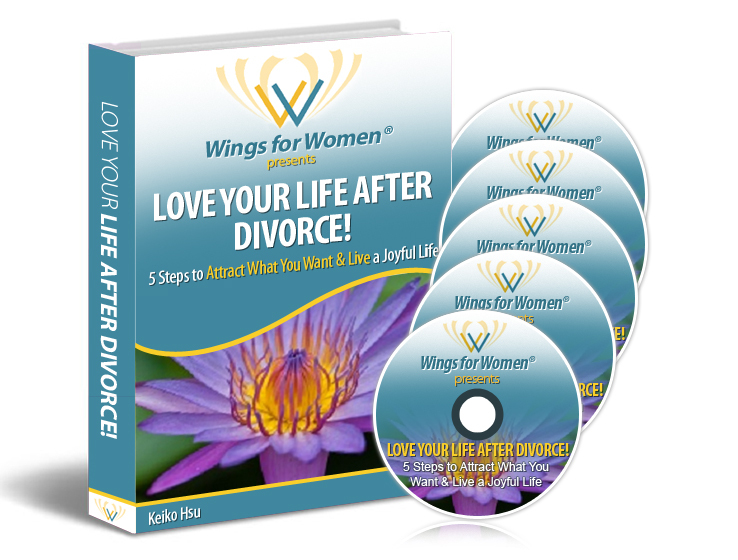 You too can find your WINGS and live a joyful life after divorce! What’s in this Kick-Start Program? Five 1- hour audio recordings packed with lots of useful information, thought-provoking and transformational exercises. A “Love Your Life” Guide Book and Work Book containing powerful exercises, worksheets and the course materials. You will receive your course materials in the mail within 2 weeks after ordering. After submitting your order, you will also receive an email confirmation with links so that you can immediately download the audio MP3s and course materials electronically. If you read all the books and took all the same personal growth seminars, transformational workshops, and coaching and mentoring that I’ve attended over the past 3 years , it would cost you tens of thousands of dollars and years of time. But you’re extremely busy, and I’m sure you don’t have the time nor the desire to take all those programs. This is why I’ve compiled all that I’ve learned and distilled them down to the most important lessons for living a vibrant life after divorce. So that YOU can get priceless life-changing lessons that you can learn in the comfort of your living room for a very affordable price. AND it’s the best gift you can give yourself! Imagine what your life would be like to feel whole again and reclaim parts of yourself that you feel you lost. What will your life be like after you’ve developed a new loving relationship with yourself? If you’re ready to finally focus on YOU and develop your inner radiance to attract good things your life, I invite you to step up and invest in your own vibrant future. To purchase the “Love Your Life!” Kick-Start Program – SELF-STUDY COURSE, contact us at Info (at) WingsForWomen (dot) net. Get ready to take your first step toward a joyful life after divorce. I look forward to supporting you on your journey. P.S. Allow me to be very direct with you. It’s an investment in YOUR LIFE and YOUR FUTURE that’s at stake here. So it’s important that you MAKE A DECISION about it before you jump off this page. Please don’t let this be one more thing you need to “think about.” Nothing will keep you from your dreams faster than delaying decisions. So YES or NO, trust that and move forward. If YES, then register NOW to act on your commitment to yourself, and create the bright future that you so deserve! 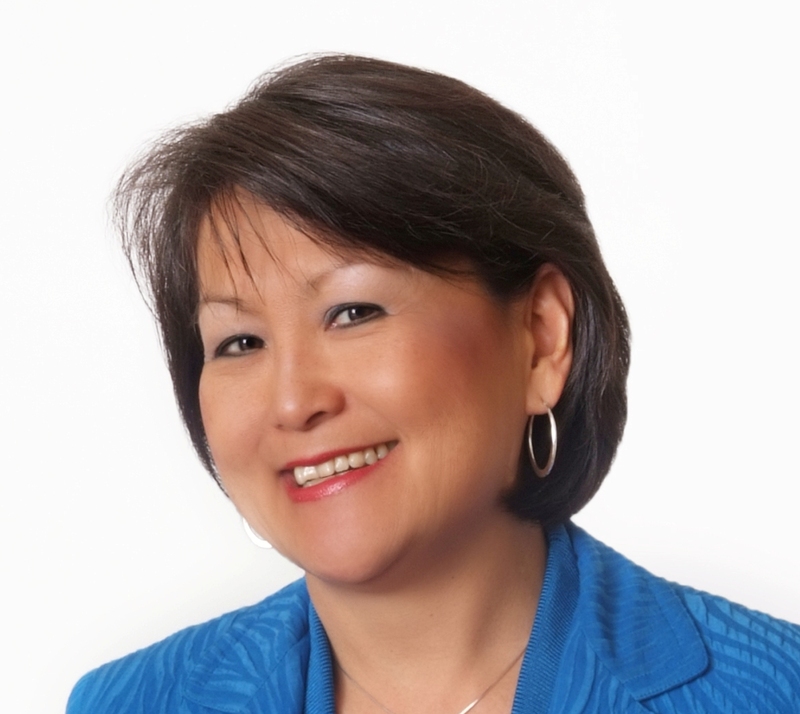 Wings for Women® was founded by Keiko Hsu, who was inspired by her own transformation after her 26-year marriage AND her 20+ year corporate career crumbled during the same year … a painful double whammy that became an emotional roller coaster. 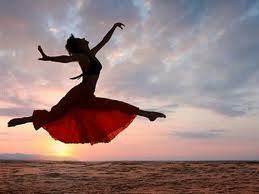 She decided to make the leap and to use her divorce as a catalyst to start a whole new chapter of her life. Since then, she has transformed her life into one filled with passion, possibilities, and joy, and she is committed to helping other women to find their wings too.